Happy 2019! Last year saw some exciting developments for us, as we worked hard to take our clients to new heights and establish exciting new initiatives. While we've published newsletters in the past, it has been a few years, and now seemed like the perfect time to start again, to put our thoughts and ideas out into the community and engage further with our extended network. So, expect regular news and updates throughout 2019 about our business, our people, our exciting client work, and of course tips, tricks, insights & best practices from our team of experts. We'll be at HIMSS in Orlando next month and would love to connect (or re-connect) with any of you who will be there. Whether it's a quick hello between sessions, or dinner out on the town, let's make arrangements! We're a tight-knit group and would love to catch up with you all. Below you'll find links to reach out to those of us who are attending, along with our social accounts which of course you should follow if you aren't already. Whether you are able to connect with us in-person or not, drop us a note! We are thrilled to announce that, in order to complement and enhance our longstanding Revenue Cycle, Revenue Integrity, and HIM proficiency, we've developed two brand new service lines - Patient Access, and Clinical Solutions! By adding expert-level resources in these domains to our team, who also have an abundance of experience with Revenue Cycle or Charge Capture, we now provide truly integrated service and full-spectrum expertise across the continuum of care. Put simply, we are now offering and executing on more than ever before, and seeing the positive impacts and results pairing top-tier resources across domains generates. The continued results we will achieve for clients in this capacity are going to be tremendous, and we are excited to be growing in the spirit of continued collaboration! To organize the work and maximize the impact of our newly organized service lines, we have created and are now offering a set of defined projects that span common needs, deficiencies, and opportunities. Understanding that affordability and return on investment are key in today's business, these projects are small in size and short in duration, but still big on results. By addressing known problem areas with targeted, well-crafted solutions and improvements for areas such as Authorizations & Eligibility, Charge Capture, OR/Supply Management, Outpatient CDI and more, these innovative projects provide immediate, measurable returns and unmistakable financial progress in short periods of time. 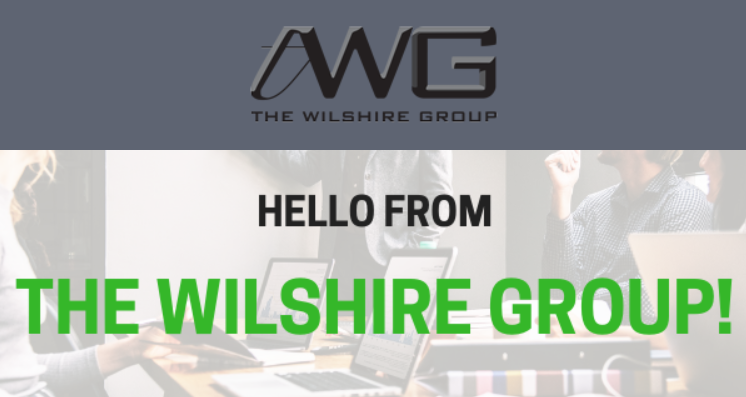 Let us know if you would like to learn more about these new Quick-HIT Wilshire Wins! We look forward to continued engagement with our extended community of peers, colleagues, partners, and clients. If there is a topic you'd like to get our advice on or see us cover in the future, do drop us a line! We'll leave you this month with our favorite saying, "May your charges file daily, your claims post nightly, and your cash post often!"